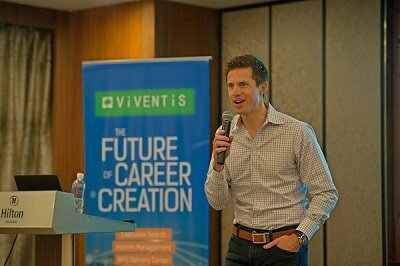 Another milestone has been achieved by Viventis last August 20 – expanding its operations and bringing Degreed, the disruptive learning experience platform, to Singapore. 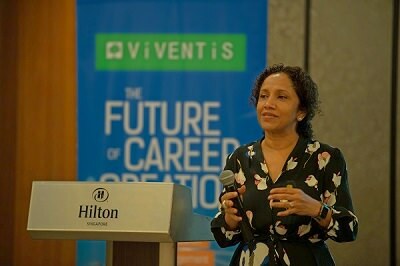 Attended by top decision makers and business leaders in the HR field, the launch sparked much interest through the series of discussions on Viventis’ monumental shift as well as the new standards in the future of learning & development with Degreed. 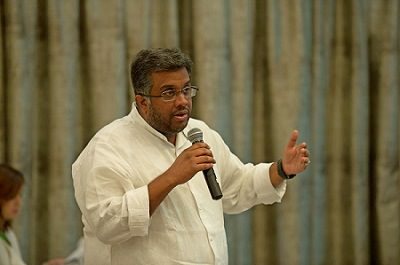 Janaky Grant, Senior Vice President, Group Head of Learning & Development at Olam International shared that companies need to build inspired employees but “not forget the key intrinsic motivators that make them first a satisfied and engaged employee.” Such can be done by building an empowered learning culture that has measurable targets for the business to achieve. Adapting from their best practices, Olam has done this by building a learner-centric digital platform that inspires growth beyond boundaries at scale which is backed by senior leadership and heavily facilitated by the HR and L&D teams. 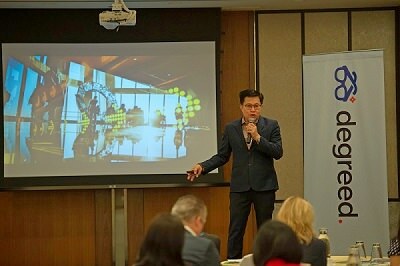 Yu Ming Chin, Co-Founder and Executive Director of Viventis kicked off the launch with his introduction of Viventis and its pivotal movement into the career creation business. 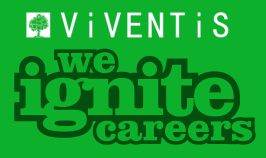 Beyond recruitment, Viventis is gradually making its mark in the industry by building the future of career creation. “We have shifted from traditional recruitment to a career-centric approach,” Yu Ming remarks. Given this new approach, it is not only a model to attract talent but give candidates the technologies and tools as well to develop and future-proof their careers through lifelong learning. Delivering the keynote address, TJ Williams, Chief Revenue Officer of Degreed discussed the importance of constantly learning and building skills for the future. TJ noted, “37% of the skills people use today were learned in the last year and 19% of the skills we learned last year are no longer relevant.” The L&D strategy of organizations must delve deeper – it should be about occasional re-skilling and continuous upskilling. TJ also highlighted that training and L&D needs to be about “building habits and communities and not merely ‘delivering training’.” Essentially, there is a need to educate, enable, and empower. Thank you to all participants who have attended and for making the launch a huge success! For more information on the services of Viventis and Degreed or to find out about our next events, please contact Hannah Harbord, Singapore Lead at hharbord@viventis-search.com or Jacelyn Tan, Regional Director for South East Asia at jtan@viventis-search.com.